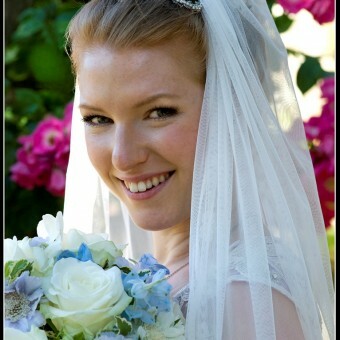 The Lucy Jayne Makeup Academy is a definite must for anyone wishing to learn about bridal make up. 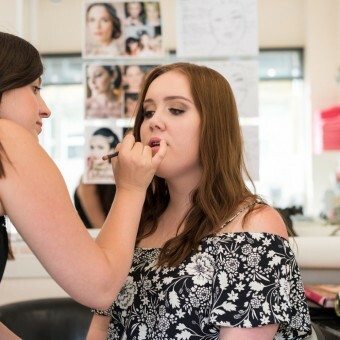 Being a complete beginner and not having much knowledge about make up at all (apart from how to do my own make up), I wanted to find a way of gaining knowledge and experience without feeling the pressures of an intensive course in London. 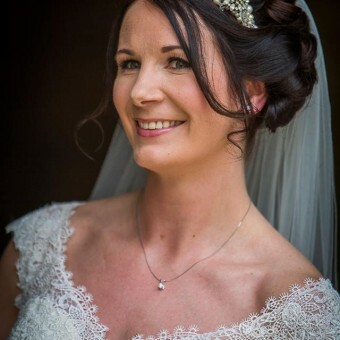 Lucy has a lot of experience and has extensive knowledge about the bridal make up industry and thankfully for us she is willing to share all what she knows. Throughout the day Lucy was very professional and continued to make me feel relaxed with her calming nature. I was the only complete beginner on the course however I saw this as an advantage because I was able to get tips and advice from the other lovely ladies too. The whole day was a very enjoyable experience and I have come away gaining confidence and friends. I recommend the Lucy Jayne Makeup Academy to anyone, whether you are just starting out or would like to spend time perfecting your skills with Lucy you cannot go wrong. I will definitely be returning for the follow up course and look forward to seeing what the future brings. I had already had a trial, that I felt went badly – I had no chemistry with the artist and the makeup lacked impact – I emailed Lucy and thankfully she was free – I’d seen her work online and was very impressed – I love her blogs and wider use of social media, her love of all things beauty was clear, she had a wider knowledge of the industry, and so I knew she’d be the one! I just wanted to say a huge thank you for making me look so beautiful on my wedding day! My make-up was perfect – it made me look and feel my very best, creating the perfect soft but flawless look I had hoped for! 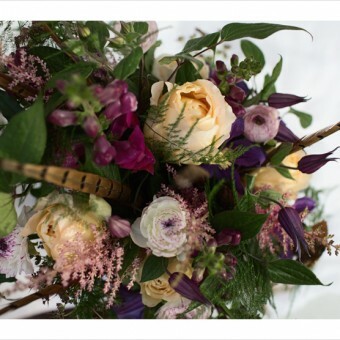 It looked fab all day long – people were still commenting at midnight, saying it still all looked amazing, which as fabulous! The bridesmaids all looked so beautiful too, we are so grateful! Just wanted to say a huge thank you for doing such a great job on my make up for my wedding day. As you know I was very nervous about having my picture taken but I was so pleased with the make up and how it looked; plus it lasted all through the celebrations and didn’t need touching up. You were so calm it really helped me feel at ease and enjoy the morning. I just wanted to say thank you for doing such an amazing job with my make up on the 2nd. We had the best day, and you and Elise were fantastic in the morning at being nice and calm. Having my hair and make up done so beautifully really helped me feel calm on the day, so thank you again. 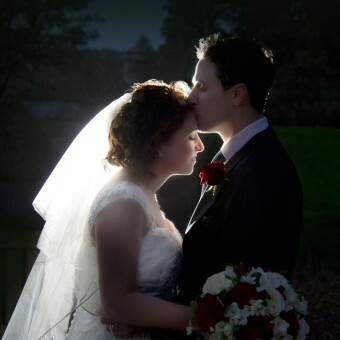 I will definately be recommending you for other friend’s weddings. Hope you’re well! 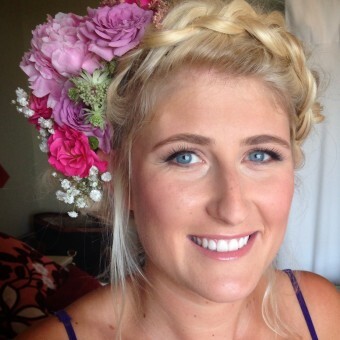 Just wanted to email you to say a HUGE thank you for the make-up you did for my wedding. It looked brilliant and lasted all day – as you know, I was worried that my face would get a bit shiny because of the heat and the makeup wouldn’t last, but it stayed perfect all day. I barely needed to powder my nose! I had a lot of complements about how ‘radiant’ I looked during the day, and I cannot thank you enough. The girls loved it too, and my mum was particularly impressed (she rarely wears make-up as has very sensitive skin, but thought you did a brilliant job). Thank you so much for making me feel beautiful on my wedding day! I have never felt that special, and everyone commented on how stunning my makeup was. It stayed on until 3am and even then I was sad to take it off! The way you listened to what mum and I wanted, and then took the time to make us feel wonderful, was lovely. Mum was absolutely thrilled with hers too. Thank you for too for being so nice on the morning of the wedding – looking back you played a massive part in keeping me calm and sane and I will never forget it. 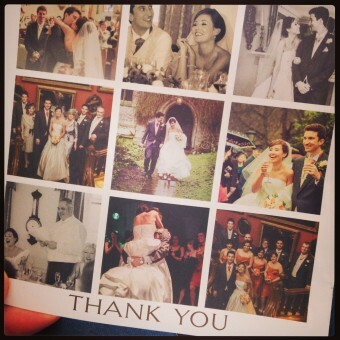 Thank you for making our day on Sunday so special! My make up was beautiful and I didn’t need to touch it up for 12 hours! Scott said I was absolutely beautiful! You turned 3 tomboys into stunning bridesmaids and they loved it! Not only was the make up flawless but we all felt so at ease with you and enjoyed your company! Will definately be in touch for those make up lessons! Just me again, now that the wedding and the weekend is over I just wanted to take a moment to thank you for your amazing make up that you did.